26 Dec - Joyce Cheng, Jason Chan, and Malaysian singer Gin Lee were the big winners of the recently held Metro Hit Awards. As reported on Mingpao, Joyce, who competed with her titular album, was one of the recipients of the Best Song award for her song "Goddess". She also won Breakthrough Female Artiste. "Thank you for friends and fans who voted for me. We will work harder and do more songs in the coming year!" she said. Jason Chan also won Best Song award for "Final", the Silver award for Best Male Singer, and Breakthrough Male Artiste. 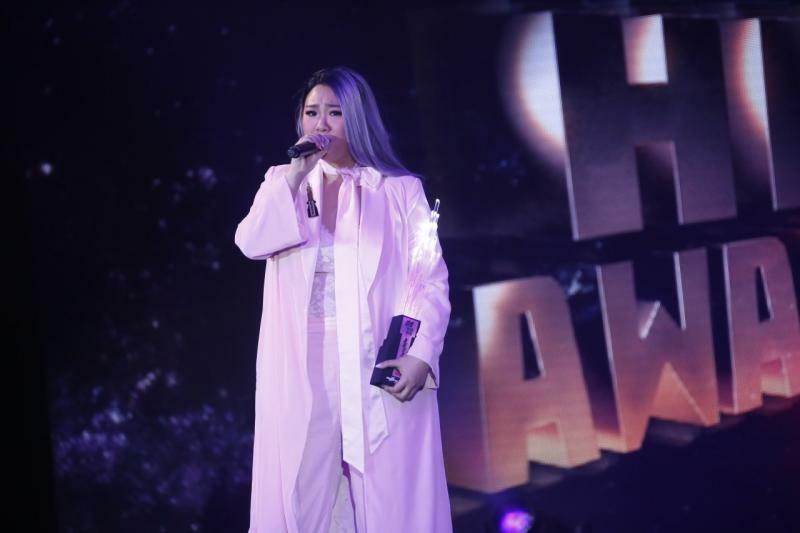 On the other hand, Johor Bahru lass, Gin Lee, won Best Song for two songs, "Both" and "Only You" - the latter a collaboration with AGA, and the Gold prize for Best Female Singer. The singer expressed that it hasn't been easy for her to get this far, after working for the last six to seven years. "I hope to continue to release good songs in the future," she said. On the other hand, Joey Yeung and Eason Chan, who had been dominating music awards for the past many years, were absent at this year's event.